Not typically an albums artist, Danish electropop singer and frequent EDM collaborator MØ releases her sophomore studio album and first since 2014, though she did drop the When I Was Young EP last year. Forever Neverland is a mostly enjoyable collection of shimmery uptempo dance-pop influenced tracks, MØ shining through with the unique vocals that make the tracks she’s featured on stand out so much. Her crackly tone always makes for an interesting listening experience, and often in collaboration with a few superstar DJs and producers across the board here, creates a selection of club-ready, fun tracks. There are a few misses here and there, but for the most part this is something to turn your brain off and enjoy. 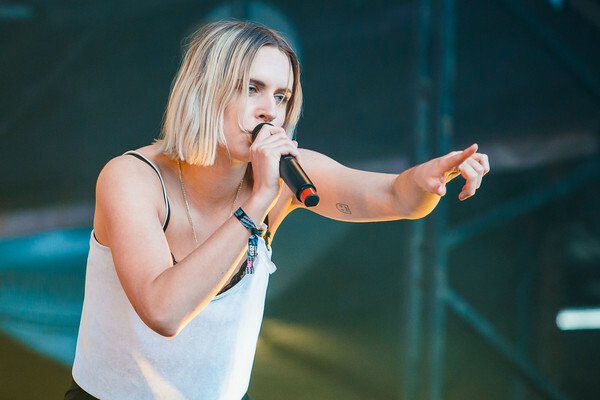 After a brief intro, the first track “Way Down” immediately drops into the overdone dancehall beat that backs up most dance-pop songs at the moment, but almost as soon as it begins MØ overrides the sense of over-familiarity with some anthemic and layered group vocals building up to a speedy drop featuring a great, bouncy synth bassline. MØ distorts the formula just enough to create something that you can enjoy for being tried-and-true and easy to consume, with the slightest of twists. 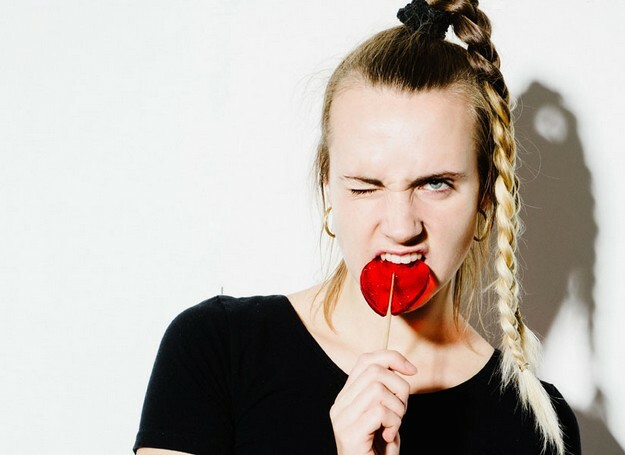 The primary writer on all of these tracks, MØ knows how to craft a catchy melody – the next track “I Want You” is instantly memorable, with some rapid-fire lyrics and a melody that’s simultaneously repetitive and impressively showing off her range. As the instrumental steadily builds up in intensity throughout the track, as she dives into that last chorus and the percussion explodes it’s a powerful and gratifying moment. There are multiple tracks here where MØ follows the Francis and the Lights model of layering her vocals with Prismizer and something about the computerized distortion fits her voice well – it’s employed well on the track “Blur” despite the more disappointingly straightforward instrumental drop afterwards. MØ saves all of her big-name collaborations for the album’s middle, kicking off with yet another track with Diplo titled “Sun In Our Eyes”. The dynamic duo team up for one of the most radio-friendly, by-the-numbers pop tracks here, but again, there are still some pop formulas that exist for a reason, and these two are seasoned veterans in following the greatest ones. Diplo provides some full, very summery synth chords here that really wrap MØ’s joyful, celebratory vocals here in the right kind of exuberant musical world – the guy can rarely go wrong. “Mercy”, a team up with former Flume member What So Not, is uncharacteristically low-key for the future-bass artist, built on a few piano chords that highlights a yearning, enormous chorus from MØ that works pretty well as she strains up to some higher notes – some live percussion finally kicks in for the final chorus and it becomes clear just how well-crafted a track it is when all the elements click together. And of course, the similarly sassy Charli XCX appears on “If It’s Over”, a manic and glitchy track where the two confidently kiss off some bad relationships. Late in the tracklisting, “Imaginary Friend” might be the best track here, actually reminding me of some of Charli’s best work. The chorus instrumental immediately grabs your attention more than the other tracks here, MØ singing in her lower register as a distorted higher-pitched voice echoes her over some synth stabs that quickly cut in and out for a much more rhythmic track. The accompanying rapidly cascading noises and embellishments make it sound like you’re entering a dream sequence and continue to immerse you in the track. There are definitely a couple tracks here where the formula begins to wear thin, usually the case when putting together a larger number of upbeat, dancier tracks into album format. “Nostalgia” is a track that stands out as being pretty unlistenable in comparison to the quality of most of its counterparts here, bringing back the generic dancehall beat but dropping into a chorus that just seems completely off with the layering and harmonies. She uses the same kind of layered group vocals but they don’t line up as perfectly here, especially when going for such a huge sound with a more percussion-based, minimal instrumental. MØ also delivers some half-rapped, half-casually spoken sections in the verses that just throw off the rhythm of the track and sound awkward. Closer “Purple Like the Summer Rain” feels a little rhythmically disjointed as well, the prominent percussion on the track feeling like it’s too fast for the vocals in front at times. A few songs just fall barely short of expectations as well, like the track “Beautiful Wreck” which features what might be the best build-up on the album with some Zedd-style vocal manipulations that culminates in a lackluster and low-impact drop, or “Red Wine” that features an enjoyable reggae flavour that breaks up some of the dance-pop monotony but features some stranger lyrics in the chorus that takes me out of it. These tracks are still pretty good, but it just makes it more evident that the creation of tracks like these can be low-effort at times. Forever Neverland is a much more enjoyable collection of tracks than most in her genre – it’s never easy to put such high-octane music into an album format without it feeling exhausting after a while – and that’s a testament to her approach and personality being a lot more individual than her counterparts as well. Teaming up with some veteran hitmakers here, one of the most prominent voices in the dance scene keeps on rolling. 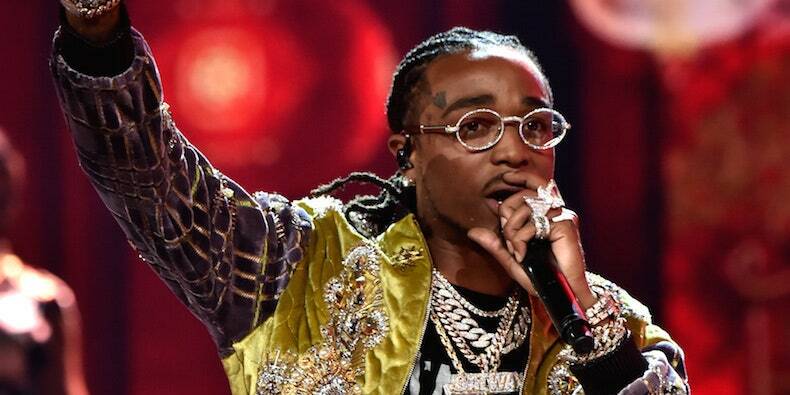 Ironically named rap label Quality Control continues to drop overlong project after project, and Migos star Quavo’s debut kicks off what is apparently the first of 3 solo albums from the members of the group to be released in rapid succession. It’s been easy recently to get burnt out on the Migos sound and formula, and Quavo more or less adheres to it here. Surprisingly, there are still a couple fun moments to wring out of it here: Migos have developed into rap superstars for a reason, and it’s because they really know what they’re doing. If they hadn’t oversaturated the market, I might enjoy this project a lot more than I do. While many pegged Quavo as the breakout star from the group due to his more versatile, melodic flow, it’s become a lot clearer to me over the years that he’s easily the least talented of the group both rhythmically and lyrically. 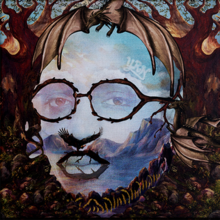 A solo project without the other two members to spice things up had me worried, and while most of this 19-track project is uninspired filler as expected, there are still a couple of enjoyable moments scattered here and there where Quavo holds his own more than you’d think. The opening track “Biggest Alley Oop” might actually be the album’s best, built on an eerie, slightly distorted choral vocal sample of ‘la-la-la’s and some kind of woodwind instrument with an element of Middle Eastern flair – it’s definitely a sound we haven’t heard them use before, and producer 30 Roc takes a few opportunities to break up the straightforward trap rhythms as well with some well-placed moments where the music cuts out. Quavo’s flow over the track honestly sounds more like one of his fellow Migos here with some speedy triplets, and his off-the-wall ad-libs are always fun. 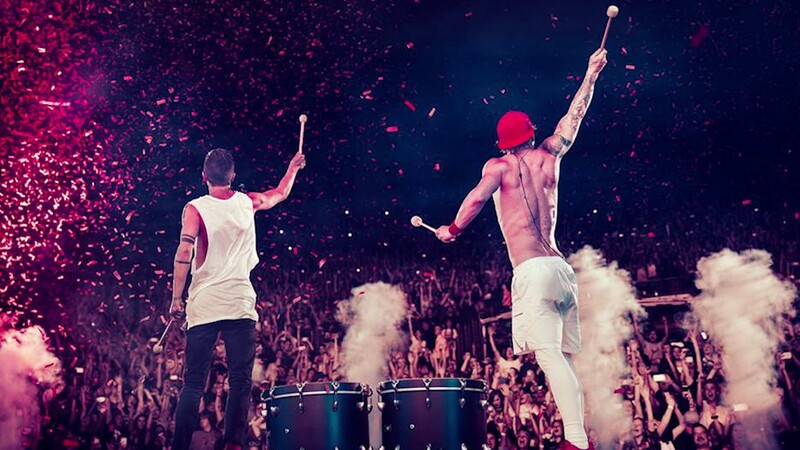 From there, we kind of fall off a cliff until the album’s second half. Less than a minute into the next track “Pass Out”, Quavo has literally resorted to bars full of nothing but “skrt” and moaning “grandmaaaaa….” in his background Auto-Crooned vocals. The production is honestly still pretty great on the track and on most of them here, but Quavo sounds unenthused most of the time here, like he’s putting this out as a contractual obligation. 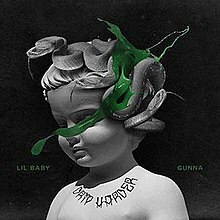 Quavo’s flow has always been more sparse than his groupmates, and on the more empty instrumentals here there just isn’t enough to carry the track here without the other huge personalities to play off of – “Give It To Em” is a huge example of this, as Quavo leaves way too much empty space over a somber piano instrumental. Most of these tracks are a shorter track without a fully fleshed out concept, Quavo bringing the bare minimum to the table lyrically and doing the same flows we’ve heard elsewhere. Most of the project’s most enjoyable moments are provided by guests, but even some of these tracks feel kind of unfinished, like they put together a random Quavo verse and a leftover verse a featured artist sent over. Drake looked to continue his feature hot streak on “Flip The Switch”, but one of his lower-key deliveries is juxtaposed with one of the most crowded trap instrumentals here, and Quavo’s final verse brings the quality way down. Tracks like “F**k 12”, “Keep That S**t” (despite how unintentionally hilarious his matter-of-fact delivery on the track is) and single “Workin Me” are painfully repetitive without enough of a new twist on the trap instrumental that we can sometimes expect from a Migos track to keep my interest. There are simply far too many tracks here that serve no distinctive purpose from each other – it’s hard to even pick out the worst ones, they’re just simply … there. “Swing” and “Big Bro” are two examples where trying to do something different didn’t really work, the former another tired dancehall cut that features ex-Fifth Harmony member Normani and Nigerian artist Davido that goes on for far too long and the latter a truly strange and contradictory track where Quavo tries to position himself as a knowledgeable J. Cole-esque figure that doles out advice on the irresponsible lifestyles he romanticizes on every other track on the album here. Most of the appeal of Migos is these three enormous personalities playing off of each other, and some of that still manages to shine through here, especially when he’s helped out by some of the better moments from behind the boards here. Tay Keith provides a pretty fun beat on the track “Shine” as Quavo’s sung hook complements the shimmering synth chords well. Some of the weirder experiments here really pay off as well, like the track “Champagne Rosé” that legitimately features Madonna (and a disjointed, brief verse from Cardi B for some reason). The Queen of Pop’s vocals are high-pitched and heavily Auto-Tuned, and she sounds like some kind of robotic doll on the track – but the fact that something like this exists is so crazy that it actually works. Her hook is maddeningly catchy all the same. Pharrell and Migos have proved a great combination in the past, and they link up again. for the erratic party track “Go All The Way”, which sounds like some early 90s dance crew material with Quavo’s filtered, repeated “NO CAP” ad-lib and Pharrell’s video-game inspired bleeps and bloops – it’s a complete anomaly which stands out in the tracklisting. Some other highlights are Travis Scott’s melodic hook on the psychedelic track “Rerun”, which really elevates the whole song, and “Lamb Talk”, one of Quavo’s most hilariously over-the-top moments on here where he delivers some energized ad-libs on a track dedicated to his car. Essentially, Quavo Huncho is exactly what you’d expect it to be. We still get moments where we’re reminded just why he was pegged to be the breakout star from the beginning, and an overwhelming amount of content that just isn’t as exciting as it used to be. I hope the more technical Takeoff and Offset can deliver some more interesting solo projects. 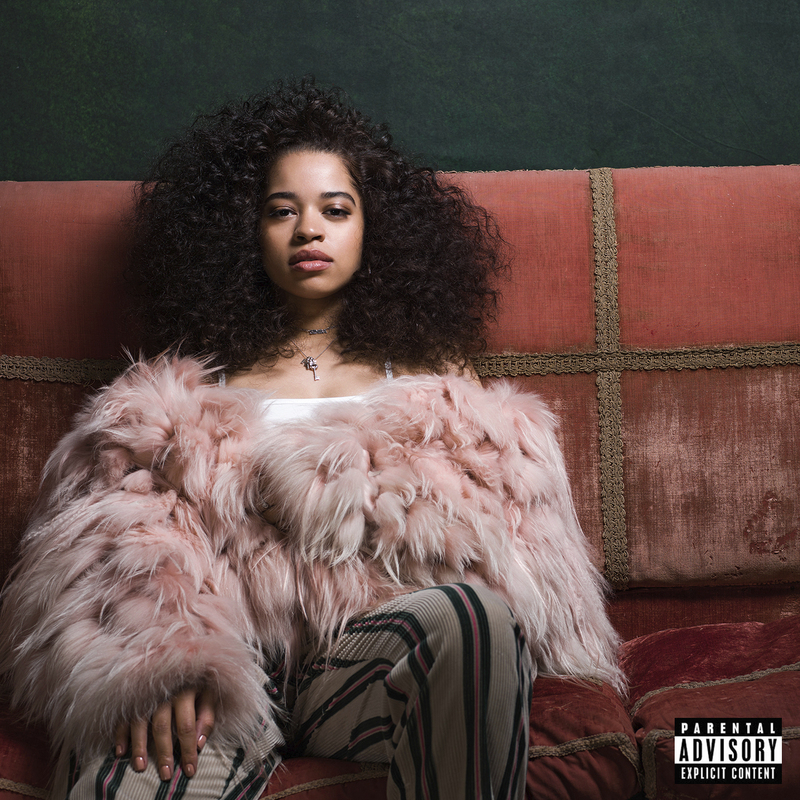 UK throwback R&B artist and signee to DJ Mustard’s label Ella Mai explodes onto the scene with her debut self-titled studio album, after breaking through in a big way with the unlikely success of excellent single “Boo’d Up” – which has what is easily the cleverest flip of a lyric this year had to offer. While she might not reach the heights of her singles, Mai offers a full album of equally smooth vocal moments, navigating easily through vocal runs and DJ Mustard’s production offering up the classic R&B percussion and other sounds of yesteryear. It’s easy to criticize throwback acts for not bringing anything new to the table creatively, but there’s something interesting about an artist like Mai re-figuring an old sound that we’re sorely lacking with the moody alt-R&B wave, packaging it in a way that fits commercially into a more modern mould. You can see it in her speedier, rap-influenced flows and hints of newer drums. Regardless, I’m always automatically hooked by one of those upbeat 90s piano numbers anyway. The album is framed by an acrostic poem of sorts, spread throughout the tracklisting in a similar way Kendrick Lamar did on To Pimp A Butterfly, as each of the 7 letters in “Ella Mai” correspond to a theme for the next couple of songs: “Emotion”, “Lust”, “Assertive”, “Mystery”, and the like – it really works in grounding the album in a concrete structure, Mai giving a few spoken word explanations of each section. Most of these tracks are carried completely by the refreshingly silky-smooth vocals of Mai over some classic 90s R&B soulful guitar and piano loops with the faintest hint of modern hi-hats. In total command of the rhythms of the track, most of these tracks are accompanied by some breezy higher harmonies that center everything in the most fun aspects of music from that era even more. The Chris Brown-featuring track “Whatchamacallit” is a complete blast from the past, Mai dropping into an immediately memorable hook as she speeds up her delivery to convincingly sing of a discrete encounter in her adorably innocent higher range, sounding frantic yet assured. Her range is something else that can really take you by surprise, going a lot lower at the start of follow-up track “Cheap Shot”. The track represents one of the more trap-influenced cuts here. Still, Mai manages to make it fit in with the vintage feel of the rest of the project with the classic-sounding harmonies – the sparse vibes of the hook playing off the skittering rhythms of the percussion is another thing that stands out immediately, Mai closing the track with some Mariah-esque higher runs. The immersive old-school production across the board here can almost distract you from just how great of a singer Mai really is, until she closes the project with the piano ballad “Easy” that puts all the focus on her as she delivers a seriously beautiful emotional vocal that fits right in with the 90s divas she loves so much. It’s over when that choir comes in to back her up. “Shot Clock” is a great concept for a song, as Mai waits impatiently by the phone for someone to confirm their desires as the time on the clock ticks down. Mai gets a little more aggressive lyrically, the funk bassline and minimal synth chords framing a place for the spotlight to be more on some impressive vocal acrobatics as she reasserts her own worth and criticizes a missed opportunity. “Own It” is another track that fits perfectly in the “Assertive” section, as she takes a smooth Adina Howard sample and knows just how to use her flexible vocals on one of the more sensual tracks here. Mai links up with some pretty great guests as well, bringing the EGOT winner himself John Legend aboard for the almost doo-wop track “Everything” and fellow rising R&B star H.E.R. for “Gut Feeling”, a bouncy piano track where the two similar voices melt into some nice harmonized moments. I can’t get enough of current single “Trip” right now either – it’s essentially a perfect follow-up building on the momentum of “Boo’d Up”. There’s something about the staccato phrasing in the hook and classic piano instrumental combined with a much more capable mainstream singer than we’re used to that makes it feel so unique and refreshing amongst the other popular music at the moment. So much of Mai’s appeal is an indescribable kind of X-factor. The album does take little bit to pick itself off the ground at the start, some of its weaker tracks opening it up. I’ve seen people criticize Mai’s lyrics for being repetitive, but it doesn’t usually get as annoying as it does on the song “Good Bad”, the verses opening with the same set of lines before the chorus features a couple lines that try to shoehorn the song’s title in as many awkward ways as possible, going on for too long without one of the inescapable earworms of a hook she’s so good at. The next track “Dangerous” is one of the more instrumentally disparate tracks here, and for now Mai occupies such a particular niche that the distorted synth guitar here feels a little over-the-top. A lot of these tracks do feel somewhat similar to each other, but at this point I’m just so glad that there’s someone bringing this sound at its purest essence to the mainstream again. Mai’s vocals are outstanding throughout this project, and it’s endlessly replayable since the hooks are so strong and its easy to get lost in just how smooth everything sounds. This is a pretty excellent exercise in throwback material. 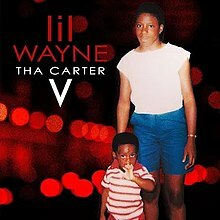 Seven years after the previous installment in the series, after endless delays and contract disputes Tha Carter V is finally here. Its undeniable that Lil Wayne is one of the most influential rappers on the modern era of hip-hop, his specific cadence, punchlines and ventures into rock music seen in the wave of both Soundcloud rappers and mainstream superstars today. Although the project is overlong and doesn’t exactly come across as a cohesive album listening experience, some tracks clearly being from a few years ago, Lil Wayne comes through on this project with his best work in a very long time. While we all thought he was falling off, he was just saving his best for his genre-defining Carter series. Despite a few awkward moments, this is the version of Wayne we look back on with nostalgia. After a spacey, emotional opening track that features one of Wayne’s most obvious offspring in the late XXXTENTACION, the project explodes immediately with the back to back tracks “Dedicate” and “Uproar”. These two tracks are some of the greatest indications that Wayne is the product of another time, having to adjust my 2018 ear for a second, but that isn’t a bad thing at all – it’s nice to hear where this all came from. “Uproar” sees him navigating deftly through one of those boisterous Swizz Beatz tracks that don’t exist anymore (complete with Swizz’ ad-libs! ), but “Dedicate” is the most present and upbeat we’ve heard Wayne this decade, taking some old-school Memphis keys and the same kind of quirky, excitable flow that made Carter III classics so much fun. Samples from 2 Chainz and Barack Obama himself proclaim Wayne’s influence, and hearing him destroy an instrumental like this in the year 2018 really brought a smile to my face. Wayne’s wordplay is back in full force here, often taking a simple word or rhyme scheme and drawing every possible usage out of it to fill up half a verse – the ridiculous internal rhymes and use of “mind” and “line” on “Let It Fly” come to mind – or dropping some of those clever punchlines that it takes you a few listens to get. One of my favourites? “She said ‘I will’, like ill with an apostrophe”, from the excellent Ashanti-featuring early 2000s dancefloor throwback “Start This S**t Off Right”. There really are so many aspects of Wayne that were and still are so far ahead of his peers, and his collaboration with Kendrick Lamar here, “Mona Lisa”, shows that. A classic storytelling track, Wayne paints some strikingly vivid imagery in a dark narrative of a double-crossing girl working with Wayne to rob Kendrick, who storms in in-character with a spastic and distressed verse straight from his Butterfly era. The fact that this track, the antithesis of radio friendly, is projected to debut at #1 is a true mark of the thirst for Wayne’s specific skillset. “Used 2” is another great track where he gets aggressive, buried late in the tracklisting. He gets up to a full shout that had my eyes wide open in surprise as he issues threats to his enemies over a Metro Boomin beat. Wayne’s penchant for melodies and fun, anthemic choruses was always a particularly underrated part of his work, even if he certainly doesn’t have the greatest singing voice to deliver them. Even as the album stretches past an hour in length, some of the later tracks here still managed to surprise with just how catchy they were. This album would have hits on hits in 2011. Tracks like “Took His Time” and “Demon” are perfect examples – the former is almost a combination of styles of the past and present with an upbeat trap-esque instrumental and a gleeful sung chorus from Wayne, but “Demon” is just his lovable weird side coming out in full force, singing “a de-mon with de-mands” in a variety of repeated, intoxicating cadences over a soul sample. You submit to Wayne’s rollercoaster ride as soon as he drops into the verse with a grinning “ooh kill em” on “Dope Ni**az”, another wonderfully dated track with Snoop Dogg. “Dark Side Of The Moon” is a slow jam R&B duet with Nicki Minaj, and not only does she sound incredible, but Wayne sounds legitimately soulful and emotional on his lower harmonies. 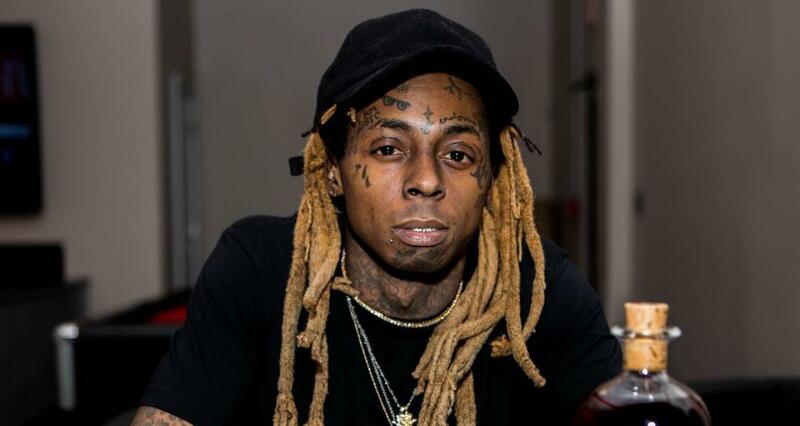 We also get a lot of emotional insight to Wayne that we’d never heard before – on “Can’t Be Broken” he speaks out on his legacy, emphasizing all of the impact that he’s had that can’t be taken away by the amount of time he wasn’t allowed to release his best work, but closing track “Let It All Work Out” really delves deep into his story. He references suicidal thoughts and searching for a purpose on the extended 4-minute verse of “Open Letter” as well, but here he tells the story of the specifics of his suicide attempt at age 12, angry at his mother for doubting his rap career when he was approached by a label at a young age. A sample from Sampha sings the title in the background, and the album closes: “And it all worked out”, his mother saying “Love you, Dwayne”. There’s so much great stuff here that I never thought I’d hear again from Wayne, so I don’t want to nitpick the filler tracks and misfires too much, but the middle sees him revert back to his worse tendencies of crooning and awkward beat selection a few times as well, on tracks like “What About Me” and “Problems” that could have easily been cut. As another installment in Tha Carter series, this project isn’t anything like the cohesive, carefully thought out classics of the past. Taking Wayne’s situation into consideration though, this is just about the best thing we could have ever expected. It’s incredible that we get this much new great Wayne music in 2018. One of the biggest forefathers of modern rap has returned to reign supreme.